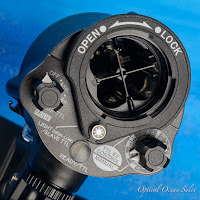 Sea & Sea YS-D2 Underwater Strobe Review: The Best Got Better. Long a major manufacturer of high-quality underwater strobes, Sea & Sea turned the world on it’s ear a few years ago with the introduction of the YS-D1 underwater strobe. Small, very powerful and adjustable, it's become a standard for many photographers. 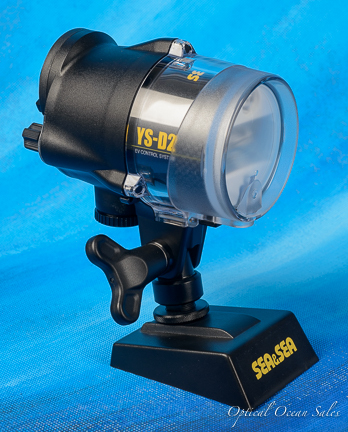 Recently Sea & Sea released a revised YS-D2 strobe model. Featuring a whopping guide number of 32, the strobe has manual and auto D-TTL exposure which works with fiber optics on most cameras, and they even supplied a “slave” TTL mode for compatibility for newer cameras that might come out - ensuring longevity. 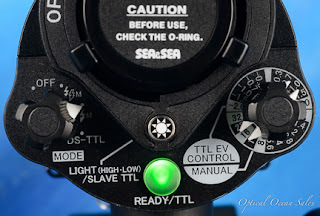 Sea & Sea says that it was the first strobe to include actual .ev (exposure value) TTL settings. Inon has had something similar with its “auto” mode - but not in TTL. For those using electrical sync, it has a Nikonos bulkhead available. And to sweeten the deal, they even supplied your choice of mounts; YS and ball, along with two diffusers with 100 and 120 degree thicknesses, which cut the guide number down as they increase beam angle and soften the light. There were annoyances with the YS-D1. Small switch dial knobs on the back were easily knocked to the wrong position if you grabbed the back of the strobe. It was hard to tell what mode you were in, and you had to look at the light on the bottom of the strobe to see if your TTL exposure was correct. 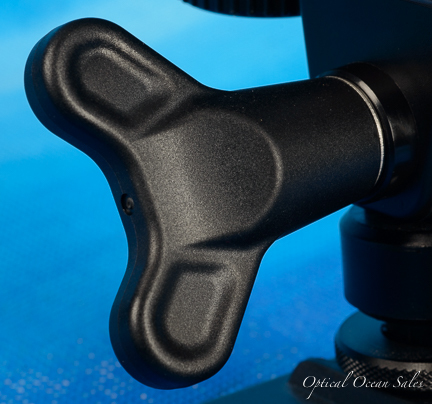 So Sea & Sea revised the strobe and released the new YS-D2 model to deal with these small issues. Basically it has the same specifications, but the back of the strobe was completely redesigned and a few new features added. Gone are the small flip knobs, replaced by a taller round knob with much better “de-dents”. They rotate firmly, stay put and you can’t knock them out of position accidentally. The manual/TTL gauge was redone with the manual now on top and the TTL ev settings on the bottom. I’m not sure how much I like that - I find it a bit confusing in TTL to look at, although it makes sense numerically. But the star attraction is that the entire rear panel is lighted and changes color with the mode you’re in; yellow (manual 1), green (manual 2) blue (TTL) and light blue (slave TTL). 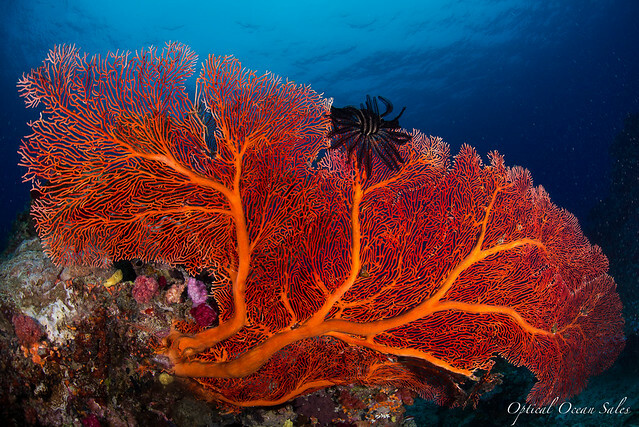 This is easily seen underwater and if you switch from manual to TTL often, keeps things straight - especially if you’re using two strobes. No more looking at tiny knob pointers to see where they’re set. The strobe now emits a tone when the strobe is recycled, which is my favorite new feature. I tend to get excited shooting action and overshoot my strobes. This allows you to continue to follow the action and when you hear the tone you know you’re ready to take a shot. The ready light at the bottom stills turns green and a tone now also sounds when you have TTL, then it goes red and a tone again sounds when the strobe has fully charged. Speaking of recycle time, the YS-D2 even has a very slightly improved recycle time. The YS-D2 now sports a two power targeting light that is much brighter on high. But don’t get confused this is for aiming the strobe, generally not lighting your subject - focus lights are much brighter and wider. 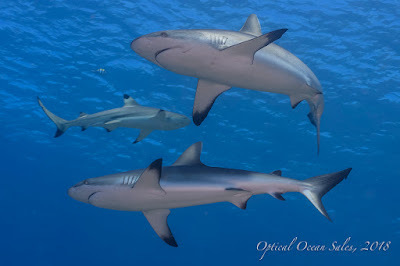 Many times you’ll be aiming the strobe out and away from your subject to reduce backscatter. Or doing more creative strobe positioning. Other improvements include a divided battery compartment, and a much better YS bolt that’s easier to grip. I took both the YS-D1 and YS-D2 on a recent trip to the Solomon Islands. The biggest improvement was the rear knobs, but I really like the audible tone and lighted back. Overall I found that the strobe needed much less attention than the YS-D1 did previously - I didn’t have to keep checking it to see if the control had moved, or take a bad shot sequence only to see the same issue. 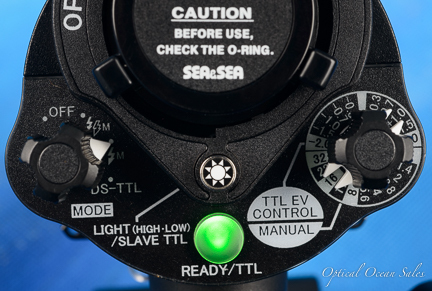 Sea & Sea makes a big deal about the strobes working in EV and they do have very fine adjustment. D-TTL has come a long way from their older strobes and seems to be compatible with a much wider variety of cameras. And the “Slave TTL” can make it work with others. However using the strobe in manual, I found that matching the f/stop on the strobe to the camera aperture to be inaccurate; exposure changes with many factors; camera lens, distance to subject, ambient light, clarity of the water not to mention shutter speed and ISO. But as a range of numbers it’s fine and having a 1/3 stop adjustment is very nice for macro. Notice backscatter on the very edges of this shot. I have found that I use the 100° diffusers all the time. I've found that the 120° diffusers are really too wide and cause backscatter at the edges of the frame. They also cut the light output to a guide number of 22, which is too weak for the ultra wide shots where you’d want that kind of coverage. Better to get some longer arms if that’s what you want to do. TTL was fairly accurate with my Panasonic LX100 system (review here) and electrical sync worked very well in manual with a Sony A7II SLR. At times I mixed a YS-D1 and YS-D2 together and found that the YS-D2 recycled just a little bit faster. However it was hard to tell the difference, unless it was a nearly full dump. If you’re adding a second strobe, I wouldn’t be afraid to mix and match - they are basically the same strobe electronically; beam size, white balance and power are the same. I've used “long lasting” NiMH MAHA PowerEx batteries and chargers for many years now and find them to be very consistent with fast recycling. In practice, I get two dives on a set, probably a little more, but it’s hard to change them underwater! The YS-D2 strobes also fit light shaping devices like our laser shoot and fiber optic ring flash as the front of the strobe is unchanged. 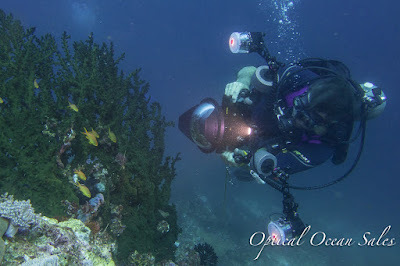 Overall the Sea & Sea YS-D2 strobe is a nice update and underwater photographers should enjoy the new features that have been added. Now on sale, $70 off - one week only!